There are just 2 days left before our Indiegogo campaign to raise funds for the initial print run of It Never Was You finishes, and we’re still short of the target amount needed to make it happen. We’re trying to raise funds through Indiegogo for two reasons. 1. We need to secure funds to pay the printers who will run off the first 100 copies of William’s wonderful new book. 2. By asking our friends, family, loyal and new readers to contribute this way, we’re giving them the chance to read the book well ahead of its official release date in April. It’s a win-win scenario. Everyone who contributes £5 can choose to receive the ebook version of It Never Was You. By contributing £10, you can choose to receive the paperback, hot off the press! I’m expecting the ebooks to be available mid-March, with the paperbacks expected back from the printers late-March. They’ll be sent to contributors the moment they’re ready. They won’t be available to buy until late April. It Never Was You is a truly epic love story. Set amongst the sprawling Liverpool docks during the Second World War, it continues the saga started in Pegasus Falling, I am certain that it will become a classic, but that will only happen if we can give it the launch it deserves. 2. 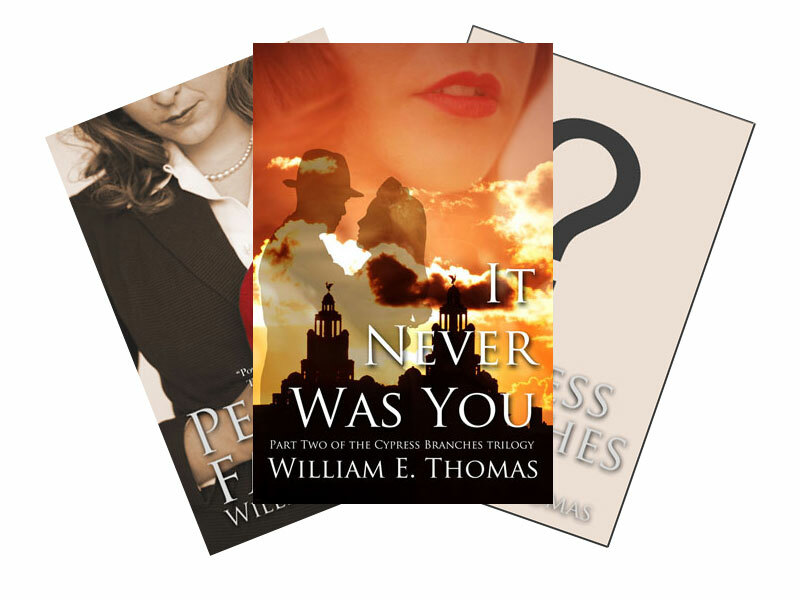 Scroll down to the Perks (on the right) and choose either the “It Never Was You advance ebook” (minimum contribution £5) or “It Never Was You paperback” (minimum contribution £10). 3. Enter your details (I’ll need a postal address to send the paperback to) and click on “Check out with PayPal”. You don’t have to have a PayPal account to contribute – click on “Pay with a credit or debit card” when you get to the PayPal checkout and uncheck the box where it asks you to enter log in details. I’d like to extend a huge thank you to everyone who has or is about to contribute, as well as all the wonderful bloggers, tweeters and Facebook friends who have been busily helping me get the word out about this campaign over the past month. I couldn’t have done it without you. Thank you, all! It was in 2008 when it struck me that I could make my grandfather’s dreams of becoming a published author come true. William had been showing signs of dementia for many years, and was finally diagnosed with a form of Alzheimer’s disease in 2006. The family and I could only watch as the disease took away a small piece of him every day. As his memory faded and confusion made him start to shrink inside himself, my mind kept turning to the great manuscript which he had finished writing less than 10 years previously. The original manuscript which I read 15 years ago. It has stayed with me ever since, both physically and emotionally, and will stay in my possession for a long time to come. The book has changed quite considerably since this version was printed, but it’s still recognisably The Cypress Branches. I had been one of the lucky few people to have read the manuscript shortly after it was finished. I spent a summer wrapped up in the characters and tales within its pages. It was a beautiful novel, one which had a profound effect on me. I learned so much about the war that I hadn’t known before. I fell in love with the characters; laughed at their jokes; frowned at their indiscretions and cried with them as their tragic story unfolded before me. The manuscript is huge. The pages aren’t numbered, but they must total well over 500 A4 sheets, single line spaced and point 10 font size at that. But I was gripped, and consumed it whole. The fact that this wonderful story came from the mind of my Grandfather made it all the more beguiling, but I knew for sure that this was a book which would have wide appeal. Having been passed around between a select few friends and family, the manuscript’s last stop ended up being with me. I put it safely away and time passed. It went with me as I moved, first to university and then to work in London. Every so often, I would take the script down from the shelf and flick through its pages, reminding myself of the funny and moving passages within it, wondering if one day it might actually get published and be read by more people. It’s a sad fact that it was William’s worsening health which finally kick started the whole idea of getting it published myself. William had approached a few publishers shortly after finishing the book, but had only had the usual rejections which so many first time novelists receive. He’d become dejected, and I’m sure his health had something to do with the fact that he soon gave up. He handed me the floppy disks which contained the original files and told me that if I wanted to have a try, I had his blessing. So, try I did. I knew time was short, because William’s short term memory was getting worse by the day. It was obvious to me that he was unable to partake in a prolonged editing process, so I set about editing the manuscript myself. I was determined that I would produce a professional product which William and the family could be proud of. And I wasn’t just content with printing the manuscript as is. I’m a freelance television producer and often have long spells between projects. 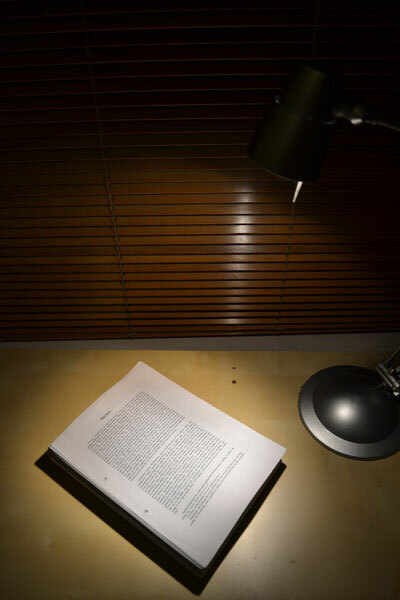 I used these periods to work on the book, poring over the pages and correcting the mistakes which inevitably creep in when an author is pouring the story onto the page. I thoroughly enjoyed the process. I learned new skills (I took a course in proofreading and copy-editing), discovered a lot about publishing and printing, and immersed myself in the process, spending hour upon hour inspecting the script, designing the cover, creating the interior and making sure the formatting was just so. The result was a hardback book as epic and formidable as the novel within it. At nearly 700 pages, I just about squeezed the entire manuscript in. I worked with the printers (the excellent Biddles) to make sure that it wasn’t too large (any larger and the spine would have become unstable). William finally had his book in print, and I couldn’t have been happier. William wrote the original story as one novel split into six “books”, with a prologue and epilogue wrapping the story up at each end. The hardback version contains the story in this form. My role as editor was to tidy it up only where needed. What is contained in the hardback is William’s original concept with as little meddling as possible. The printing is top-notch, thanks to the fantastic people at Biddles. It has a blue cloth cover with silver inlaid lettering and a glossy jacket (with artwork courtesy of my father, Dennis Harris). It’s a beautiful thing to adorn a bookshelf, and it has taken pride of place in the family’s collections. The main intention behind making this book was for William to see his work in print. For that to happen, we didn’t need a huge print run, so the minimum – only 108 copies – were made. It will never be produced in this form again. It’s something special for those who have one to treasure, and to make it even more special, each copy comes with its own certificate to prove it’s one of the original print run. The special edition hardback. Only 108 were printed, and each comes with a certificate to prove it came from the first and only print run. 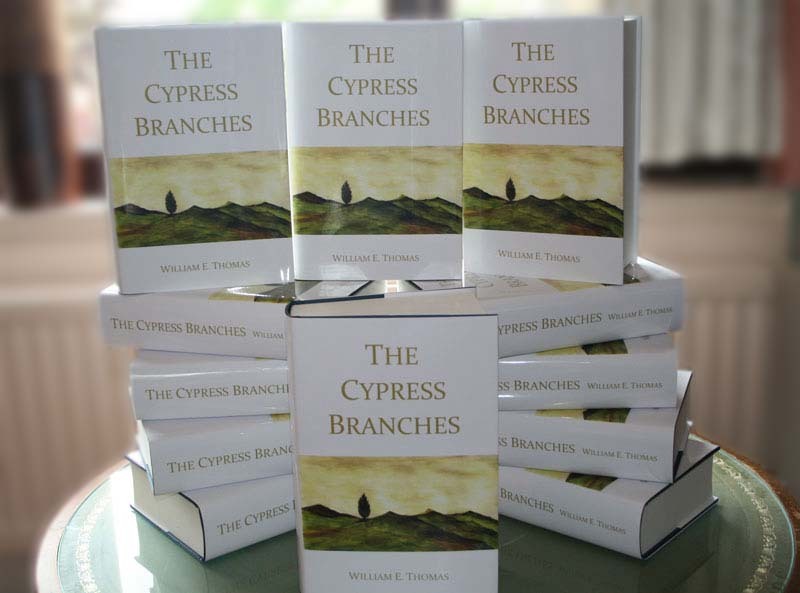 Owning a copy is the only way of reading The Cypress Branches as William wrote it (i.e. before I turned it into a trilogy). It was the production of this hardback which made me realise that there was potential in what I’d done. Those who tackled the massive tome loved it, but to the man they all agreed that its size made it too impractical. The hardback would never be a viable option to produce on a large scale, so thoughts turned to producing a paperback version instead. And for that to work, it would have to be split into shorter segments. And so here we are with Pegasus Falling winning accolades and awards around the globe and It Never Was You about to be released. We’ve come a long way since I first started work on the hardback. I’ve learned many more lessons (and put those learned on producing the hardback to good use too!) and the support has been tremendous. Thankfully, I was able to get the hardback printed in time for William to enjoy his success. He was overjoyed when we presented him with his copy. He was bewildered, but a very proud man. And the four generations of Thomases who turned out that day to celebrate with him were all very proud too. Unfortunately his illness has progressed to the point where he is unaware of the success that Pegasus Falling has had, but I’m sure he’d be chuffed that people are finally enjoying his work. Out of those 108 copies, there are only a handful left. As the other intention of this whole exercise is to get William’s work read, I’ve decided to give them away as perks in our Indiegogo campaign. They’re special books, so I’ve reserved them for the top contributors. If you’d like to be one of the very few people to read the saga as William originally intended, and help me get William’s novels into the hands of more readers, then grab the “Special Edition” perk at indiegogo.com. But be quick! When they’re all gone, they’re all gone. Remember to grab your perk! A contribution of just £3 ($5) will entitle you to the Pegasus Falling ebook. For £10, you will receive the paperback edition of It Never Was You in the post before it goes on general release! It Never Was You is ready to (indiego)go! It Never Was You will be released some time in April. Yep, that’s a month later than previously announced, but having looked at the lead times, I realised I was being a little hasty and have had to put it back by a few weeks. Want to get hold of It Never Was You before anyone else? Click here to head to the campaign and grab the perk! In order to give It Never Was You the launch it deserves, I’ve put together a crowd funding campaign on indiegogo.com. indiegogo is a great place where all sorts of people from around the world are raising money for all kinds of concerns. From film makers trying to get their latest project off the ground to charities raising awareness of their cause, it’s full of inspiring stories and projects and well worth a browse. Publishing the Cypress Branches trilogy is a labour of love for me, and it’s something I do without the aim of making a profit – in fact, I’ve ploughed a lot more money in than I’ve got out. The reason I do it is because I’m determined to see William’s work in print. That vision, and this project, costs money, and that’s where this campaign comes in. Last year I was able to fund a print run and the beginnings of a marketing push for Pegasus Falling using my own funds before selling one book. This year, I was facing the possibility of having to launch It Never Was You without any funding available. Whilst I would have been able to launch the books by making them available as an ebook and via print-on-demand on Amazon, I would not have been able to distribute them to a wider audience. That would mean that I would not be able to supply the shops which stock Pegasus Falling with stocks of its sequel, or send copies to journalists, reviewers and bloggers. Not the best way to keep the momentum going! By creating this campaign, I should be able to give It Never Was You the push it deserves. One of the great innovations of the site is something they call “perks”. Perks are rewards which people can claim in exchange for a contribution. Film makers provide anything from a DVD of their finished movie to the chance to go on set during filming. Charities offer a warm fuzzy feeling or priority booking on fundraising events. 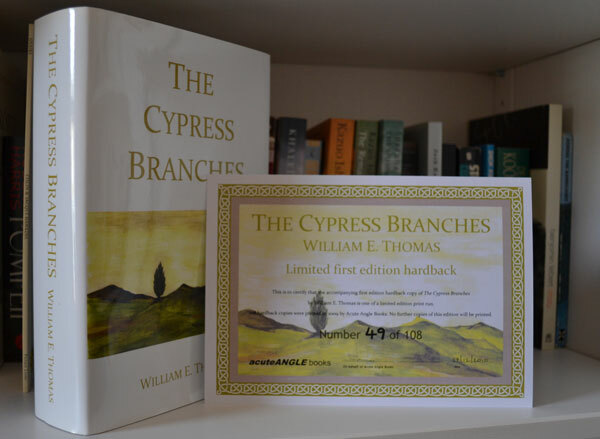 I’ve made one of the perks of contributing to the Cypress Branches campaign being able to get your hands on an advance copy of It Never Was You. Depending on your budget (or your preference!) you can request an ebook or paperback copy as a perk, sent to you as soon as the files are ready / the books are printed in mid March, and before they appear on Amazon or in the shops. By grabbing one of these perks, you’ll get a copy at the same time as the review copies go out, and be amongst the first to read it. If you’re feeling generous and fancy treating yourself to an extra special perk, there is also the chance to own a copy with a personal handwritten note from me inside, or a rare copy of the hardback edition featuring the original manuscript we printed back in 2009 or even get your name added to the acknowledgements page. Whatever way of contributing you choose, you can be sure that every penny raised will go towards getting William’s books into print. I’ve set the target at £2,000. This will pay for an initial print run of It Never Was You, a second run of Pegasus Falling and a big marketing push to get sales going. The great thing is that we can keep raising money, even if we reach the target before the end of the campaign. If we can smash the target, I’ll plough all the extra money straight back into the project, starting work on Part Three of the trilogy as soon as possible. If we don’t reach the target, I will still receive around 90% of the funds pledged (indiegogo raise their fees to 9% if you don’t reach your target). Whilst this would be less than ideal, it will still mean that I can go ahead with launching It Never Was You – but the print run may have to be postponed or curtailed and the marketing will be much scaled back. This would be sad. Let’s not think about it. The success of the campaign very much depends on how far we can spread the word. If you’d love to see William’s trilogy taking a significant step closer to completion, then please help get the word out there by heading to the campaign page and using the “share this campaign” tools. You can “Like” it on Facebook, send a tweet, do whatever you do on G+, share on your blog or website, send your friends an email or do all of the above, all from within the campaign. You can also post comments, check for updates and brag to your friends that you’re helping William get his books printed. And the cool thing is that the more of us who share, the greater chance we have of raising the profile of the campaign on indiegogo itself! They use an algorithm which measures a campaign’s success and attributes it a “gogofactor”. 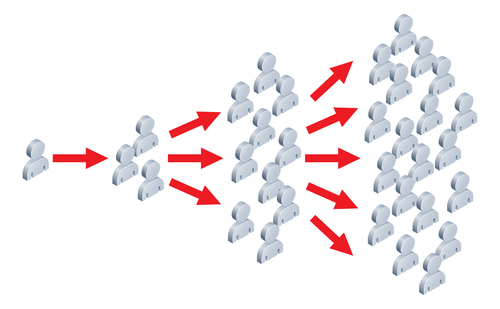 The higher the gogofactor, the higher up the campaign goes in the listings, and the better chance it has of being spotted by others using the site. I won’t be releasing any copies of It Never Was You to general buyers until the official launch date. The only way to get a copy before then is to contribute to the campaign and request the perk. Then you’ll not only get that warm fuzzy feeling from knowing you’re helping me get William’s books out there and into the hands of the audience we all know will love them, but you’ll also be able to read them before anyone else! Now there’s bragging rights! Head to the campaign page now, grab your perk and get sharing! As ever, happy reading, everyone and thank you all for your continued support!